Since moving to Music City, I have missed opportunities to hear some of my favorite recording artists such as John Hiatt, Steve Earle, and Ben Folds speak as a part of Vanderbilt’s Blair Conversations Series. 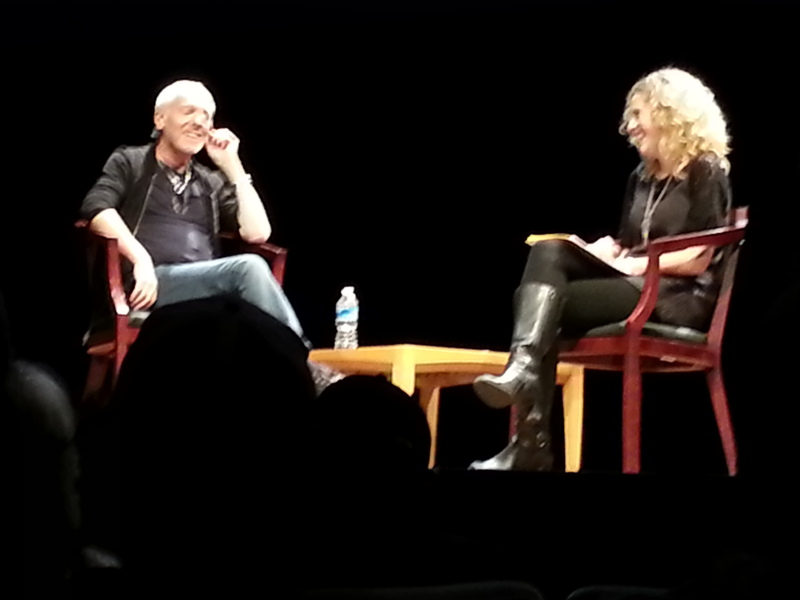 This time around, my schedule worked out to see the legendary Peter Frampton in a session moderated by Jen Gunderman. Gunderman, a senior lecturer in music history at the Blair School, is currently on leave touring as keyboardist for Sheryl Crow. 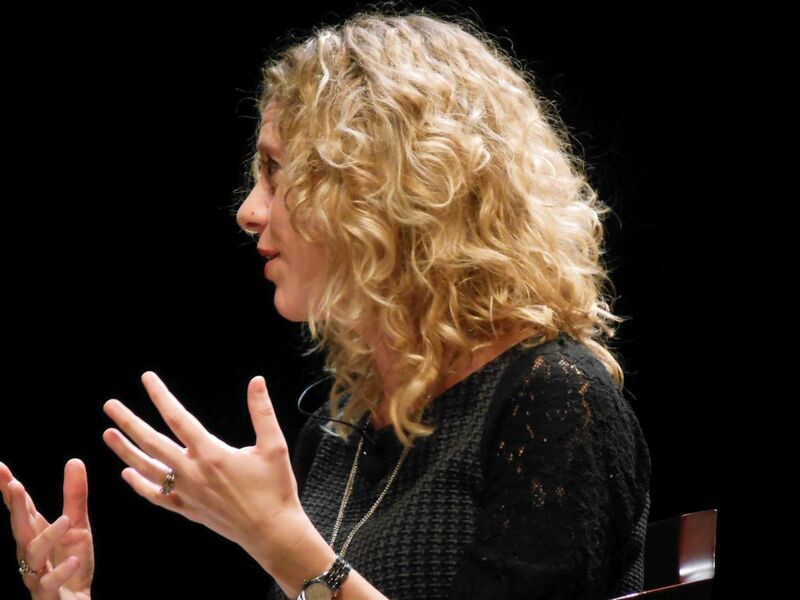 She has also been a touring member of The Jayhawks and is a semi-regular with Nashville’s The Long Players. Many of my younger friends were surprised to hear of my love for Frampton’s music. As Mike Myers joked in the Wayne’s World movie, it did seem that every kid in the suburbs was issued a copy of the Frampton Comes Alive! record. Case in point, the mega-platinum, double-LP is one of the biggest selling “live” records in history. 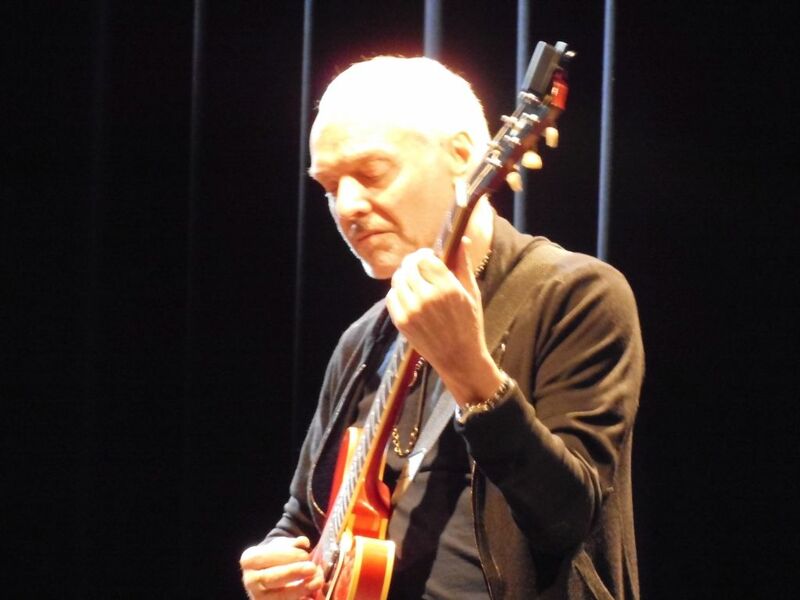 It may have been the worst thing to happen to Frampton’s career, however, by generating the mass appeal that makes music snobs turn their heads. It’s a given that Frampton may have made a few wrong turns after this career pinnacle; but, looking back, it’s the music that matters. His first four records prior to the live one still hold up today as great guitar-driven rock. It is hard for me to admit that while I was writing about music for my college paper in 1975, I chose the Frampton LP as the best record of the year over Springsteen’s Born to Run. Tickets for this event were free and the lavish 600-capacity Ingram Hall was only two-thirds full–this for an artist who at his peak in the late 70s was selling out baseball stadiums. Gunderman did a great job guiding the comfortable and articulate Frampton down memory lane. She was obviously a knowledgeable fan, and her only shortcoming was her excitement causing her to ramble during some of her questions. We learned that she had a connection with her subject through her husband, Audley Freed. 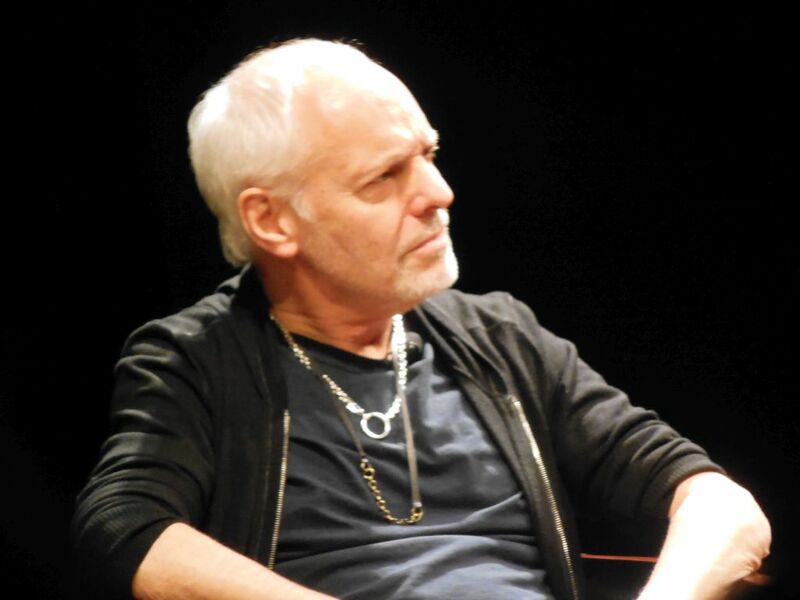 Freed was a great session guitarist who played with Frampton’s band, someone Frampton greatly admires. The interview covered some great territory: the Humble Pie days; his current project writing for the Cincinnati ballet; the fact he built his career by being an opening act; and the story of his long lost but recovered guitar (dubbed the “Phoenix”) which was on stage alongside another guitar and a grand piano. Frampton already had a Nashville connection having lived here before he moved to Cincinnati. Before the show, there was a question box outside the lobby, and Gunderman found time to squeeze in five of them. One was submitted by yours truly. I was a bit cheeky about it because I asked a question anticipating the answer: “If you could go back in time, is there something that you would now say “no” to doing?” He responded first with, “Do you work for Robert Stigwood?” Frampton, as I expected, spoke of the much maligned and embarrassing Sgt. Pepper’s film that Stigwood produced and he starred in. 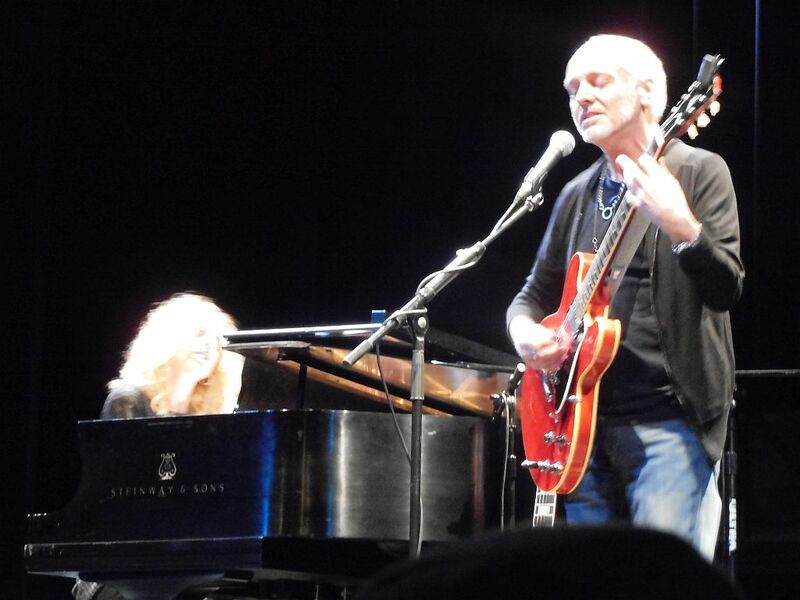 To finish out the evening, Frampton took to his guitars with his moderator accompanying him beautifully on the Steinway. We were treated to two numbers: 1973’s “Lines on My Face” with a lovely melodic guitar workout intro; and “Baby I Love Your Way,” a song from 1975’s brilliant solo LP that further blossomed to become a stellar hit off the live record. His meteoric rise to success left him as quite a misunderstood artist. I left feeling proud to have held my allegiance to his music over all these years. 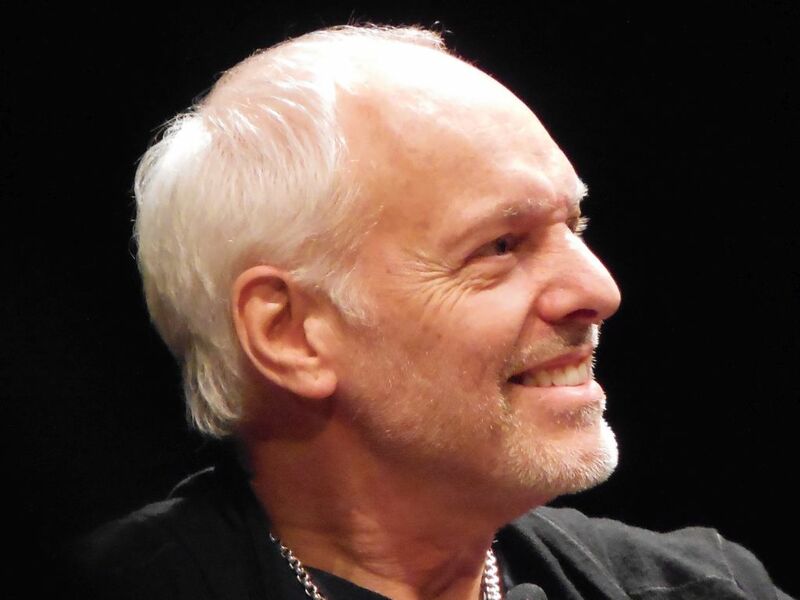 I just hope that others who were there this evening will go out and further the word that it’s okay to like Peter Frampton! I have loved Peter Frampton since I was 11 yrs old. I will be 50 this year. I don’t understand anyone that doesn’t love him!! Meeting him is the #1 thing on my bucket list. And I hope and pray that I do get to meet him one day. Keep rockin Peter cuz Baby I love your way!! !